AkroFlex Reinforcing Meshes are alkali resistant, woven glass fiber fabrics specially designed to be used with AkroFlex EIF Systems and other approved Omega base coats. Meshes are available in a range of weights that provide different levels of strength and impact resistance. ♦ Heavy Duty Mesh (20oz): For locations needing the highest impact resistance, such as ground floors and high traffic areas. 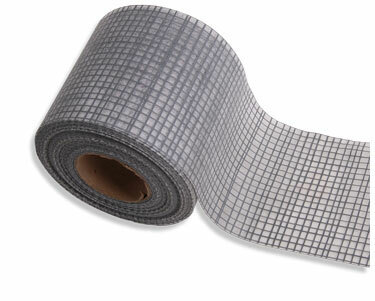 ♦ Intermediate Mesh (11oz or 15oz): For locations needing additional impact resistance, such as medium traffic areas. ♦ Standard Mesh (4.5oz): For locations needing standard impact resistance, such as second stories or other low traffic areas where impact is unlikely. ♦ Starter Mesh (4.5oz, 9.5 inch): For back wrapping and detail work. Omega Reinforcing Meshes are alkali resistant, woven glass fiber fabrics specially designed to be used with Omega base coats. Meshes are available in a range of weights that provide different levels of strength and impact resistance. NOTE: DO NOT use Omega Reinforcing Meshes in AkroFlex EIF Systems. Use only AkroFlex Reinforcing Mesh in EIF Systems. ♦ CI-Mesh Standard Mesh (4.5oz): Omega Crack Isolation (CI) mesh is designed for use in the Omega Crack Isolation System and architectural foam shapes. ♦ CI-Mesh Starter Mesh: For back wrapping and detail work. ♦ Detail Mesh (2oz): For use with foam shapes. Not for use with EIF Systems.